Before you start pairing operation, please check if your TV is Bluetooth-enabled, otherwise you will need to get a Bluetooth transmitter to work with your headphones if your TV is not Bluetooth-enabled or your TV is Bluetooth-enabled smart TV but you prefer no audio delay experience (most TV native Bluetooth does not support low latency and you will still experience 200ms delay). Please follow your TV’s manual guide to check how to access its Bluetooth option. Some TV’s manual listed on their official site. Now, Avantree Audition Procast is connected to your TV! 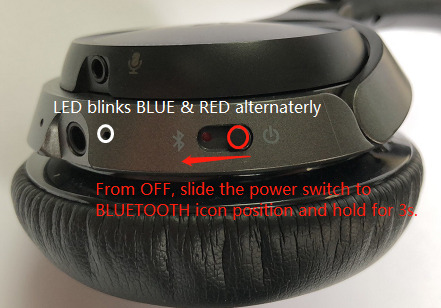 2) adjust the headphone volume by clicking or pressing the volume button.